Despite the criticism that he receives however, Fellaini has of course produced some important moments for the club over the last 2 -3 years, predominantly his headers inside the box, following an Ashley Young whipped in cross. Standing at 6’4, with his broad physique and uncontrollable elbows, Fellaini is typically associated with being an efficient substitute, being thrown on to cause an ariel type of nuisance for opposing defenders. This has of course primarily been the Belgian’s role in the squad this summer, as following Nemanja Matic’s arrival, Fellaini has subsequently received limited starts in the middle of the field. It is of course of no secret that this role is a reason why Jose Mourinho is so keen for Fellaini to remain, with this ‘plan B’ bailing United on a few occasions this season alone. The ‘super sub’ role of Fellaini is however one that draws criticism from bitter fans and pundits, who simply label the tactic as ‘hoof ball’, as oppose to a manager simply playing to his own player’s strengths. It is however also a contributing factor as to why certain United fans struggle to warm towards Fellaini, with many of the Red Devils demanding a certain style of attacking football, a system that the side don’t always follow, when Fellaini is on the field. Whilst never far from some aspect of opinion or criticism, Fellaini has again been the centre of attention in the press amongst recent weeks, with many news outlets speculating over a summer exit for the Belgian, after failing to agree a new contract with United. 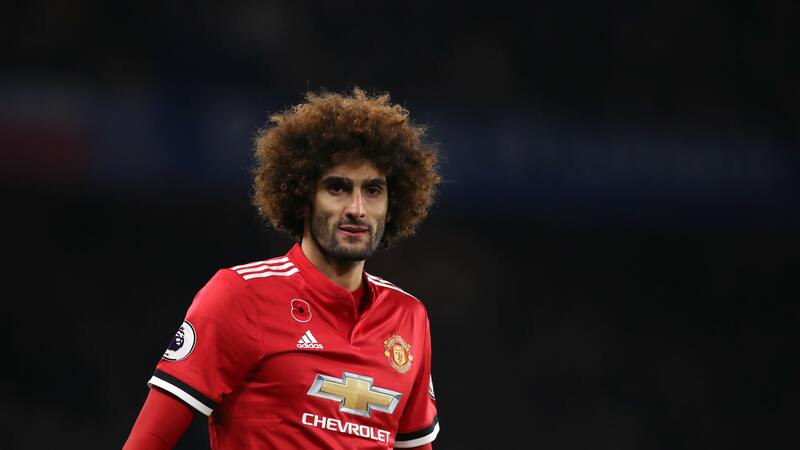 It has been reported that Fellaini rejected a new offer in December and is now allegedly holding out for a new and improved deal, a move that has not gone down well with many supporters. After continuous publically backing of the player from Mourinho himself, many have described Fellaini has stabbing the manager in the back, with now what can only be described as him simply holding the club to ransom. However, it would not be implausible to state that such a decision from Fellaini has in fact stemmed from the lack of appreciation from fans towards him, particularly when other selective players receive consistent backing even where their performances don’t merit so. A summer exit for the Belgian is looking rather likely and there will certainly be a divide in opinion amongst fans if the inevitable does happen. Despite Mourinho’s admiring of the player, many fans are keen to see Fellaini leave and the next month will certainly be a pivotal one, in the future of Fellaini as a Manchester United player.